Wedding guest attire demystified! 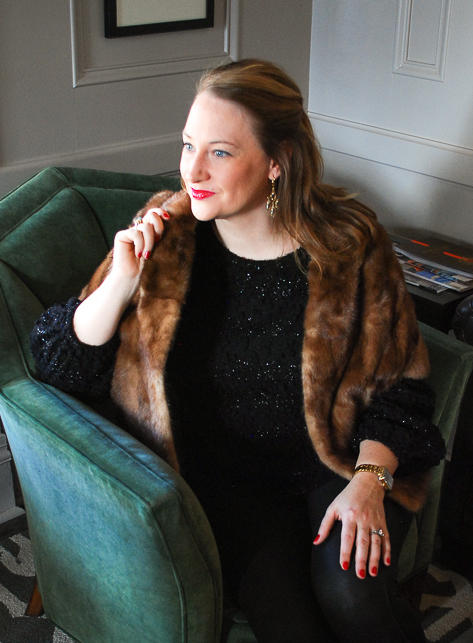 Learn the secret to knowing how casual or formal to dress for all the weddings on your social calendar. It is June and wedding season is officially here! 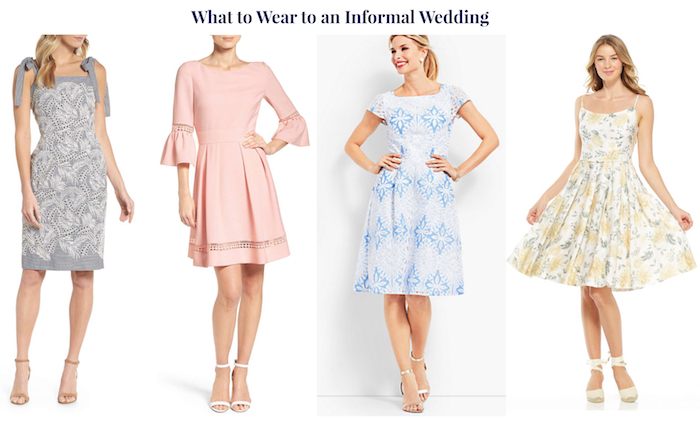 If your mailbox has filled with lovely paper confections, than it is time to get shopping and decide just the right wedding outfit to don for toasting your lovely friends and celebrating their union. But dressing for weddings can be tricky! If the bride and groom are true etiquette sticklers à la Emily Post, than the invite will have no dress code specifications. If they are more modern there may be a simple one liner on the reception invite noting: cocktail attire, black tie, or white tie. Deciding just what type and style of wedding guest attire to wear can be a challenge to say the least! So what is a gal to do? 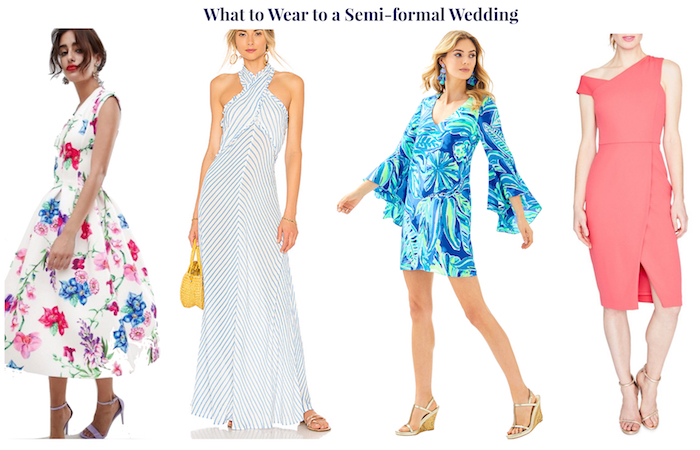 We all know this, but the little white dress is so au courant, and I know it maybe tempting to choose one for a summer wedding, especially if it is beach side but just don’t! The bride will not thank you! Now I realize this is an evolving rule, and black to a wedding is perfectly acceptable in many social circles especially for elegant evening affairs. However, in many circles, particularly in the South and I hear Europe, all black is still a faux pas. Just consider the reason behind this stricture: black is for mourning and a wedding is a celebration, so if you do decide to don black make sure the style is festive and you pair it with bright accessories. Ahem… no brainer here, right? This wedding guest attire rule goes along with rule number 1, but extends to wearing something entirely too flashy or risqué. Find out from the bride and groom if there are any specific restrictions on dress for their religious ceremony then observe them. If not, as a general rule bare shoulders and décolletage are impolite in church, so cover thin straps or a strap-less dress with a light cardigan or shawl. This rule addresses the real challenge of dressing for a wedding: how to choose an outfit that is suitable for the level of formality of the wedding. No one enjoys showing up under-dressed or over-dressed (although if I had to choose, I would rather be over-dressed hands down). How does one know what to wear? 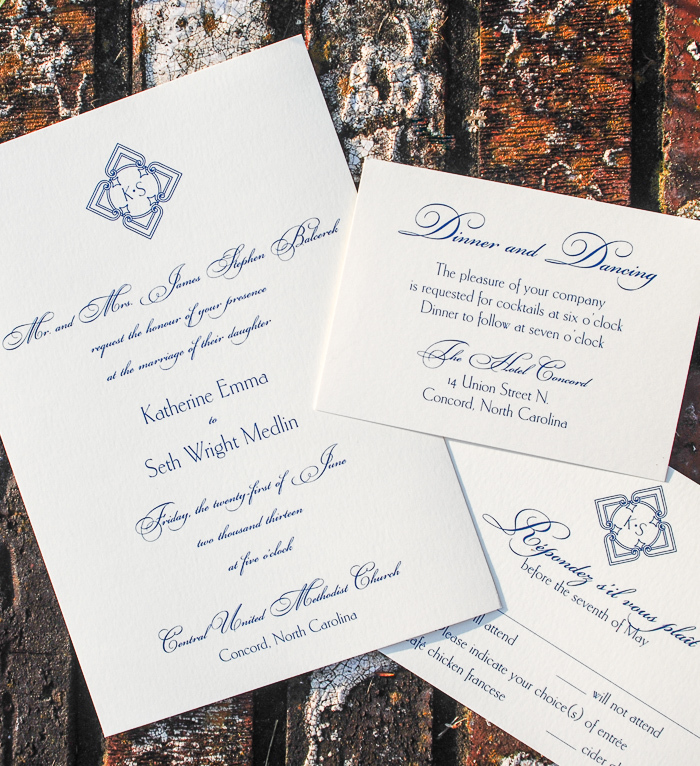 Here’s the secret: Take your cues from the style and tone of the wedding, which should be evident from the invitation. Does it feel formal? Is the wording traditional and in beautiful calligraphy? Is it engraved on heavy-cardstock in subdued colors? Is the ceremony invite and reception invite separate? You can discern a world of meaning from the invitation itself about the tone of the wedding. 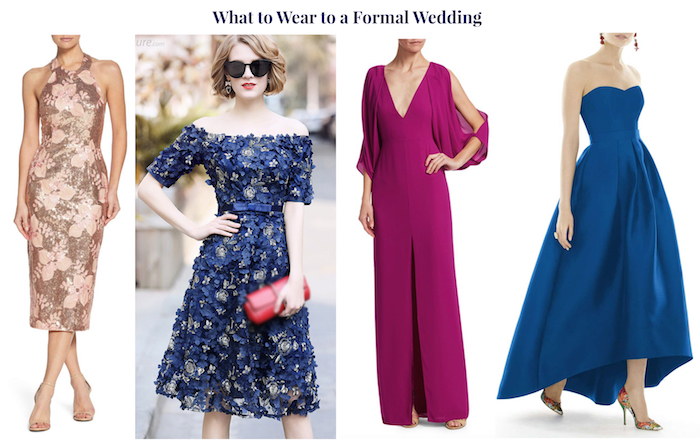 Of course the variants to the style and tone of the wedding are endless, but let these factors guide you to the appropriate dress, which I’ll detail below. Casual weddings are usually the least stressful. Just don’t take casual too far; this does not mean jeans and t-shirts. Instead think: bright colorful skirts, sweet sundresses, and even chic pant or dress suits. Consider the location of the wedding carefully to know what to wear as it is likely some or all of the wedding may be outside. I donned this pretty crochet dress from Taylor in vibrant blue for my brother’s beach side wedding last year. The simple sheath was perfect for the sand and sun, but jazzed up by the interesting fabric. For shoes I choose a simple wedge sandal and my jewelry played up the beach vibe with little starfish earrings. Similar dress here and here. What about my date? Guys’ dress ranges from polos and khakis to blue blazers or day suits in linen or seersucker, depending on location. Semi-formal weddings, in my opinion, are the most fun for which to choose an outfit. There are just so many options for beautiful cocktail dresses! An invitation might note the dress code as “cocktail attire,” but remember sticklers for etiquette call for no dress code designation on the invitation. Dresses should be flouncy and fun with a bit of sparkle or the pizzazz offered by a unique cut or beautiful fabric. You can go high or low with the hem-line, choosing a fit and flare knee-length dress or a flowing maxi. What about my date? Your plus one should wear a suit and tie or a dinner jacket depending on location and tone of the wedding. A formal wedding is about the glamour! Dark, rich colors are appropriate wedding guest attire in tea-length or floor-length dresses. Don’t be afraid to wear a really snazzy cocktail dress if it is formal in feel with intricate embellishments like the blue floral one below. 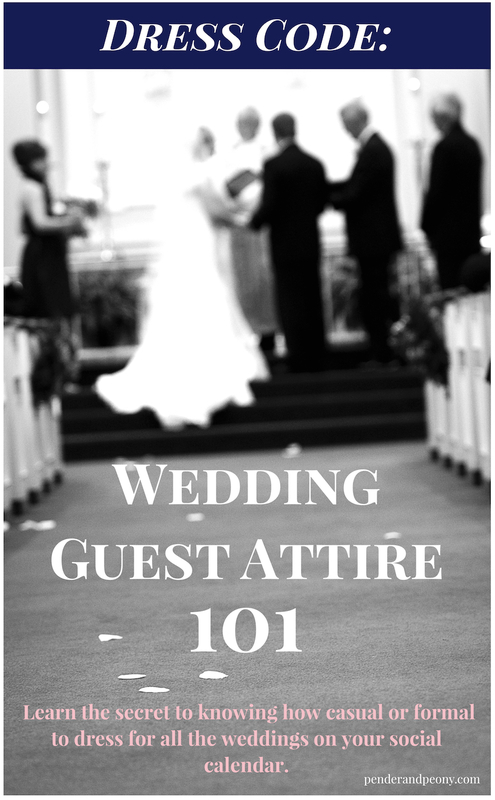 I hope this little guide to wedding guest attire 101 has helped you prepare for all the weddings on your social calendar! Remember regardless of what you wear weddings are a celebration of the happy couple: tipple champagne, dance your feet off, and enjoy your family and friends! Marry when June roses grow and over land and sea you will go. Love birds are chirping, church bells ringing, and romantic warm evenings encroaching. June is upon us and that means wedding season is in full swing. 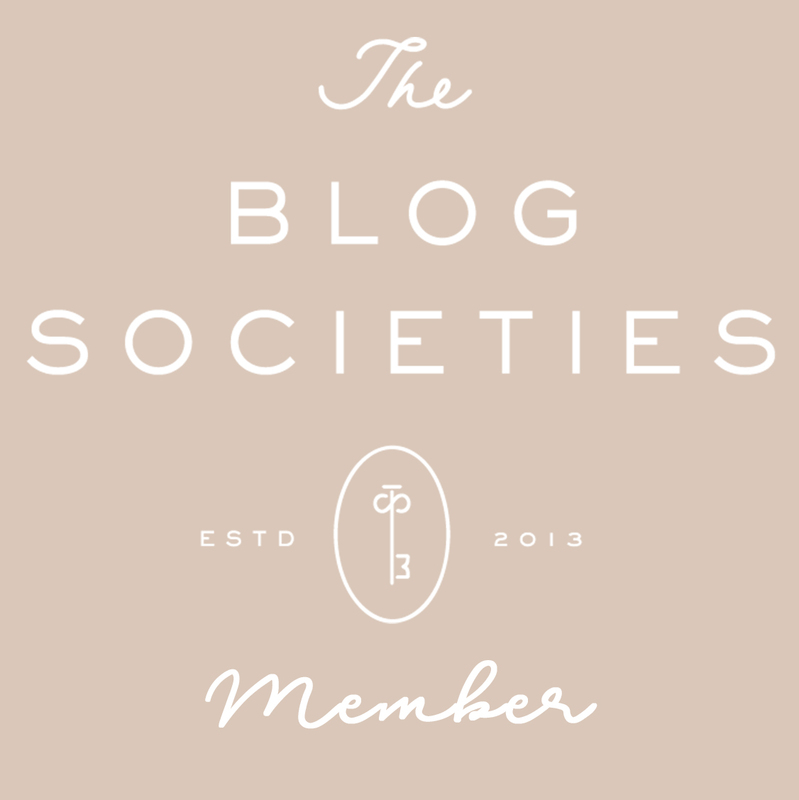 I am declaring June wedding month here on P&P for one very special reason: S. and I are celebrating our 5 year anniversary this month! I can hardly believe we have been married half a decade already. It truly seems like yesterday we were picking invitations and rings, taste testing cake, and preparing for the big day. In looking back on that happy event, I thought I would take the opportunity to share some wedding advice, tips, and insight we gleaned from our lovely experience. If you are interested in seeing details of our wedding check out this post on the ceremony and this post on the reception.